There are many great two-year colleges in New York state. Find out which ones top our list based on graduate salary. There are several two-year colleges in New York assessed in PayScale’s College Salary Report. Some of the most popular and notable two-year community colleges offering associate degrees in New York include Corning Community College, Onondaga Community College, and Nassau Community College, which has graduated a variety of celebrated alums including Eddie Murphy, Billy Crystal, and Steve Buscemi. 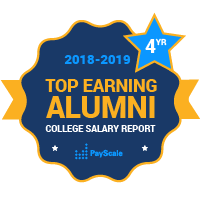 This report should give you a depth of insight into which junior colleges, in terms of salary potential are the best in New York. Interestingly, Excelsior is ranked highly for students who think their jobs have a meaningful impact on the world, while FIT has a low ranking in the same category. FIT also has a low ranking in PayScale’s report on earning potential for graduates of undergraduate colleges and universities with only a bachelor’s degree in New York State.